What is the 21UP Initiative? National and international attitudes are changing. Countries and states are legalizing cannabis for a tremendous range of medical applications. Since many people are now choosing medical cannabis over dangerous drugs, setting a standard for child safety is paramount. MagicalButter.com, as the industry leader whose herbal extraction machines are used by dispensaries, pharmacies, and consumers within the medical cannabis community to make edibles, has accepted the responsibility to set that standard. Accordingly, the company has created the first-ever silicone molds specifically marked for making medicated items for adults. These molds make it easy for those aged from “21 up” who prefer to ingest their cannabis in the popular form of gummies to distinguish their medibles from ordinary gummy candies. This innovation was needed because individual candies, once out of wraps, can be just as difficult to identify as being “for adults only” as a sugary piña colada or rum and Coke. Although cannabis, unlike liquor, is non-lethal, kids should not be eating it like candy. (Too large a dose can make for an uncomfortable day of malaise even for an adult.) Also, parents or legal guardians could face prosecution if their child is exposed to anything meant for adults only. 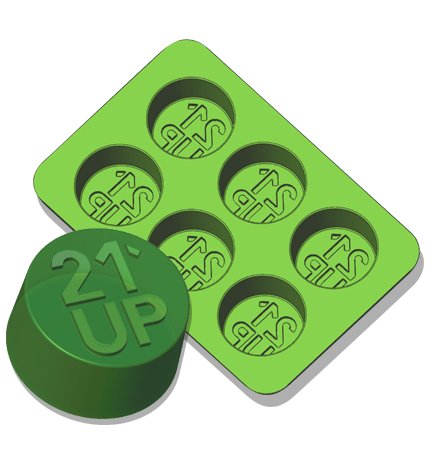 To encourage broad acceptance of this protective measure, we offer the use of our trademarked 21UP™ logo to any company making medicated products such as gummies, hard candies, lollipops, etc. We provide the completed molds at a 3 percent royalty and 10 percent net profit, plus production cost. This ensures our molds are the least expensive to buy and manufacture, helping to promote self-regulation within the industry. All packaging proudly bears the label “Made in USA.” Because ours is an industry that cares about people, we believe widespread adoption of the 21UP Initiative will be swift and viral. 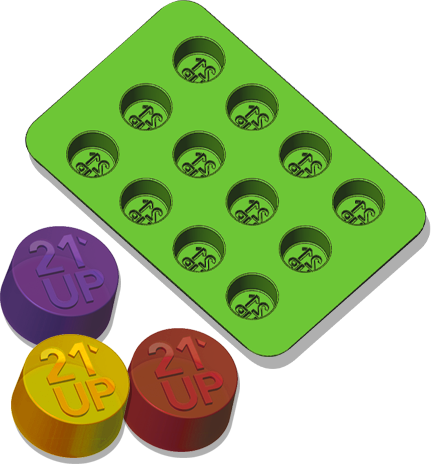 Release of the 21UP Gummy Molds is slated for late 2016 at a retail price of two for $9.95. Copyright © 2016 MagicalButter.com, Public Benefit Corporation (PBC). All rights reserved. 21UP and MagicalButter.com are are claimed, reserved, and/or registered trademarks of MagicalButter.com, PBC.